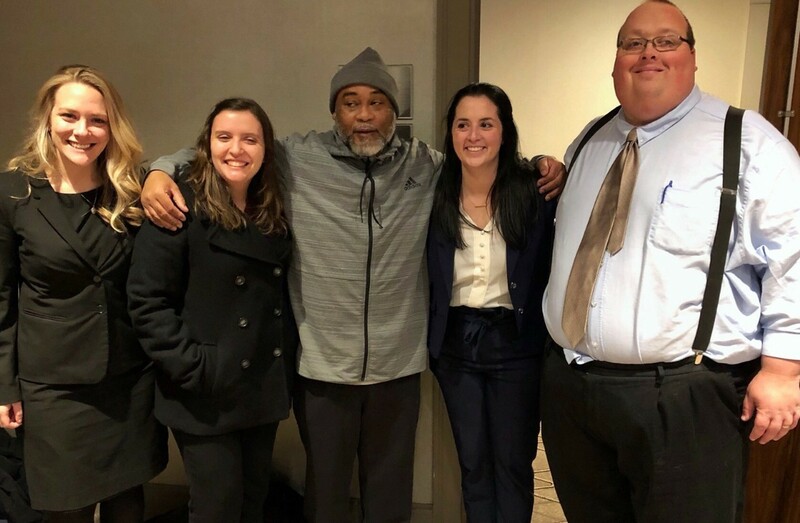 After languishing 27 years in prison for a murder and attempted murder he didn’t commit, Charles Jackson walked free Tuesday, thanks to the help of University of Cincinnati law students, professors and attorneys. Cuyahoga County Common Pleas Court Judge Robert C. McClelland ordered the 54-year-old Cleveland man’s release following a hearing in which his attorneys argued —and prosecutors agreed — he deserves a new trial. Jackson’s attorneys, Mallorie Thomas and Donald Caster of the Ohio Innocence Project (OIP) at the UC College of Law which took up Jackson’s case, argued that the state violated Jackson’s right to a fair trial by not disclosing evidence favorable to him. Charles Jackson raises his arm in victory after being released from prison on Tuesday. “The case was unfair against Jackson from the beginning because the state withheld information against him. But for the state withholding all of this evidence, there is a high likelihood Jackson would have been acquitted,” Thomas argued. Jackson’s attorneys expected prosecutors to fight the motion, but in an unexpected move, Cuyahoga County Assistant Prosecuting Attorney Christopher Schroeder agreed Jackson is entitled to a new trial. While Schroeder said that prosecutors would continue to investigate the case and made clear that the case could be retried, Thomas said Jackson and his legal team are celebrating today’s victory. Jackson’s ordeal began in April 1991 when police arrested him for the murder of Joseph Travis and attempted murder of Ronald Lacey in Travis’s Cleveland apartment. But the case was thin — no physical evidence tying Jackson to the scene, inconsistent police reports and built entirely on shaky eyewitness testimony. 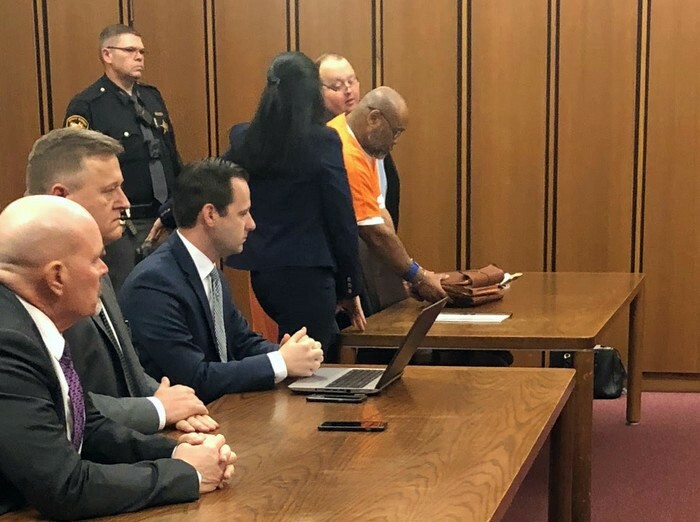 A Cleveland jury nevertheless convicted Jackson of aggravated murder and attempted murder and a judge sentenced him to consecutive terms of 20 years to life on the first charge and seven to 25 years on the latter. He received an additional three years for using a firearm during the crimes. Jackson, who has always maintained his innocence, appealed his convictions, but his appeal was rejected in 1993. Undaunted, Jackson continued to seek assistance and eventually contacted the OIP, one of the most well-known and successful innocence projects in the nation. Since its launch in 2003, the OIP has helped free 28 wrongfully convicted inmates who've collectively served more than 525 years in prison. Those successes are made possible by second-year UC law school students who work with the OIP year-round to overturn wrongful convictions and right injustice. Under the supervision of attorneys, students work in pairs to dig through case files, interview witnesses and attorneys, piece together crime scenes and seek out the latest in forensic techniques, such as DNA testing, to apply to cases. Jackson is the third Ohio man the OIP has helped release this year from lengthy prison sentences for crimes they did not commit. Earlier this year, the OIP assisted Ru-El Sailor in walking free after serving 15 years in prison for a murder committed by his best friend. And in June, the OIP helped release Christopher Miller after serving 16 years for kidnapping, aggravated sexual assault and robbery. After investigating Jackson’s claims, the OIP agreed to take his case and filed a motion for a new trial. The two-year legal saga ended Tuesday when a judge vacated Jackson’s sentence and ordered him released from prison. What will Jackson do now? 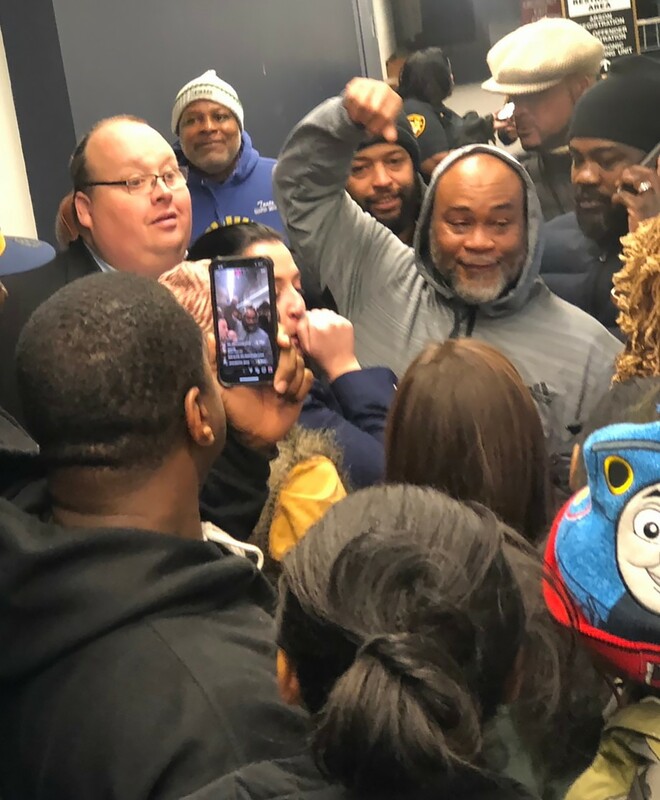 After 27 years in prison, the prospect of release is a bit overwhelming, but Thomas says Jackson has a strong family support system and a resilient work ethic. Charles Jackson, center, with members of the OIP team who worked to secure his release. From left, Liza Dietrich, Maddy High, Mallorie Thomas and Donald Castor. Students: Cara Daggit, Maddy High, Jordan Blake, Mackenzie Mercer, Jefferson Kisor, Joe Everhart and Devin Wylie. OIP staff members Jennifer Paschen Bergeron and Brian Howe also contributed significantly to this case.